Home » Doctors » Nicholas G. Anderson, M.D. Dr. Nick Anderson is a native of Knoxville, Tennessee. After graduating from Bearden High School, he received his undergraduate degree from the University of Virginia, graduating Phi Beta Kappa with highest honors. Dr. Anderson then attended the University of Tennessee College of Medicine on a full scholarship and graduated with highest honors. During medical school he was elected to the lmhotep Leadership Honor Society and the Alpha Omega Alpha Honor Society. Dr. Anderson completed his ophthalmology residency at the Emory Eye Center at Emory University in Atlanta where he was elected Chief Resident. During his residency, Dr. Anderson trained under Dr. Thomas Aaberg, Sr., one of the fathers of modern Vitreo-Retinal surgery. Following residency, Dr. Anderson completed a two-year fellowship in Vitreo-Retinal surgery at the prestigious Wills Eye Hospital in Philadelphia, Pennsylvania. Wills Eye Hospital is consistently ranked as one of the top ophthalmology hospitals in the world. In 2005, Dr. Anderson moved back to the Knoxville area and joined Southeastern Retina Associates. His clinical interests include macular degeneration, diabetic retinopathy, retinal detachment, macular hole, and epiretinal membrane. Dr. Anderson is on staff at the University of Tennessee Medical Center and East Tennessee Children's Hospital. 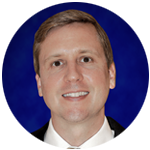 Dr. Anderson has published numerous peer-reviewed research articles and book chapters and has given lectures at national and international ophthalmology meetings. At Southeastern Retina Associates, Dr. Anderson pursues an active clinical trials program. He believes that by actively pursuing his research interests he can provide cutting-edge care to his patients. Dr. Anderson has received many accolades as a physician. His fellow doctors in East Tennessee have voted him "Top Doc" for multiple consecutive years. His patients have also bestowed multiple awards upon him, including "Top 10 Doctor in the State", "5 Year Patients' Choice Award", and "5 Year Compassionate Doctor Award". These accolades reflect Dr. Anderson's commitment to high-quality patient care.